Diamond quilt geometric coloring sheet for kids and for adults. Can you see the diamonds, squares, and triangles? This PDF prints to 8.5x11 inch paper. 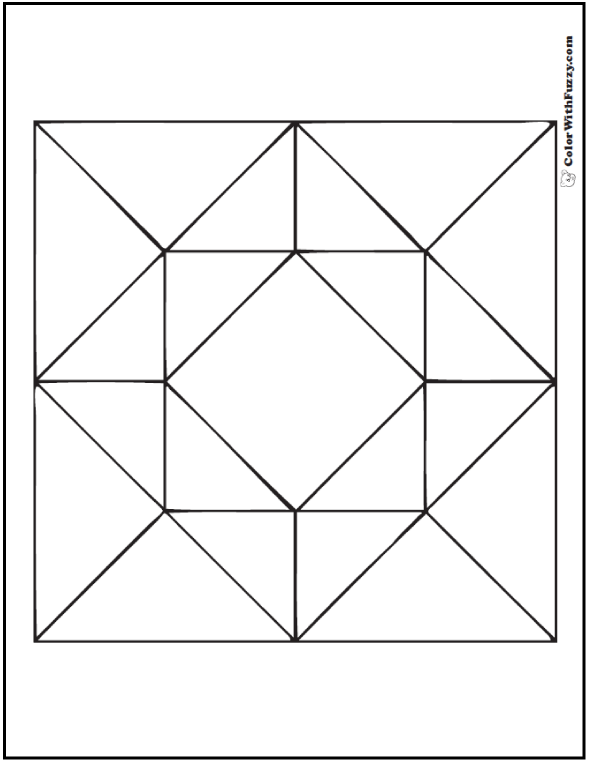 This geometric coloring sheet looks like a quilting square with diamonds.